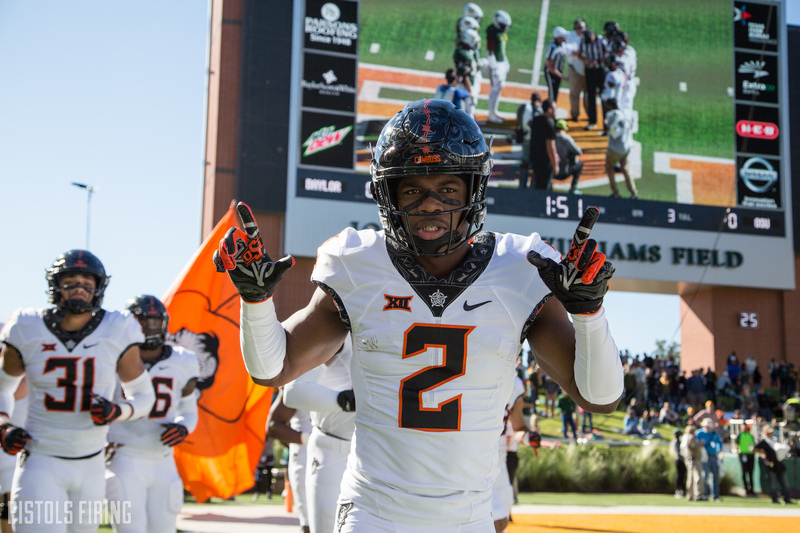 Keeping track of Pokes’ redshirt status with just three (guaranteed) games remaining. With a maximum of four games remaining on OSU’s 2018 football schedule, the repercussions of playing freshmen/redshirt eligible candidates strictly from an eligibility perspective do not exist. Due to the NCAA redshirt rule, players can participate in up to four games without sacrificing any future years of eligibility. OSU took advantage of that this past weekend against Baylor with an unexpected name in Bixby (Okla.) product Bryce Bray. Bray was among the star-studded signees of OSU’s offensive line class in 2018. With OU, West Virginia and TCU on deck to close out the season, might we see other freshman take the field? Might we … maybe … see Spencer Sanders take snaps in special situations? Mike Gundy says don’t hold your breath. Here’s an updated look at the season statistics for OSU newbies.